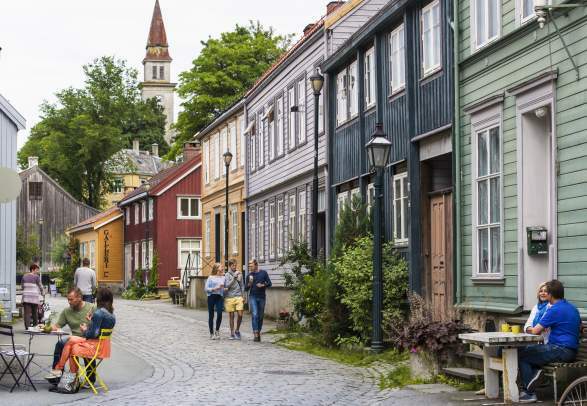 Get an overview of five destinations not to miss on your Hurtigruten journey: Ålesund, Lofoten and Vesterålen, the North Cape, Tromsø and Trondheim. 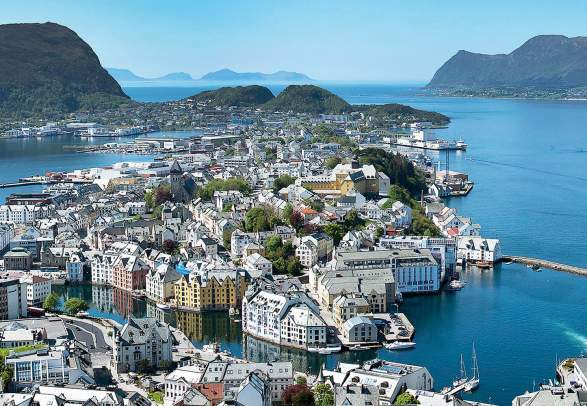 If you ask visitors what strikes them about town of Ålesund, they will immediately draw your attention to its Art nouveau architecture. A devastating fire in 1904 wiped out much of the city, after which it was re-built in a style that was fashionable at the time. The result is a town that feels like something out of a movie set. Having soaked up Ålesund’s charm, why not head to Atlanterhavsparken – one of Northern Europe’s largest aquariums. You can see the fish being hand fed by divers before paying the resident penguins a visit. Round off your visit by heading up to Mount Aksla where you can take in panoramic views of the town and surrounding area. Bookings can be made by phone on tel 0203 411 8114. Trondheim is Norway’s third largest city and has a long history – it was founded by the Viking King Olav as early as 997. The mighty Nidarosdomen cathedral, built over St Olav’s burial site, has in recent years become known as the inspiration for some of the locations featured in the Disney film ‘Frozen’ – most notably the royal residence. Much of the city was destroyed by fire in the 17th century, and a large section had to be rebuilt. 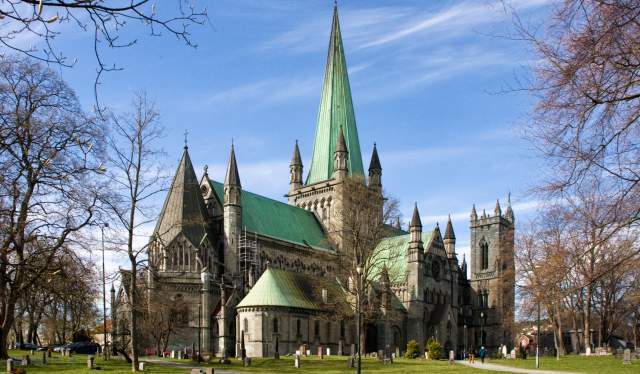 Nevertheless, Trondheim retains the intimacy and charm of a small town. Hurtigruten guests travelling during the Autumn months can take a boat trip out to Munkholmen – an island with a rich and varied history, from an execution site to a Benedictine monastery and prison. In the second world war, Nazi soldiers used the island to house several anti-aircraft guns. Back on land, those with and interest in music and culture may be interested in the Ringve Museum of Musical history, surrounded by botanical gardens. Bookings can be made by phone on tel 0203 411 8114. 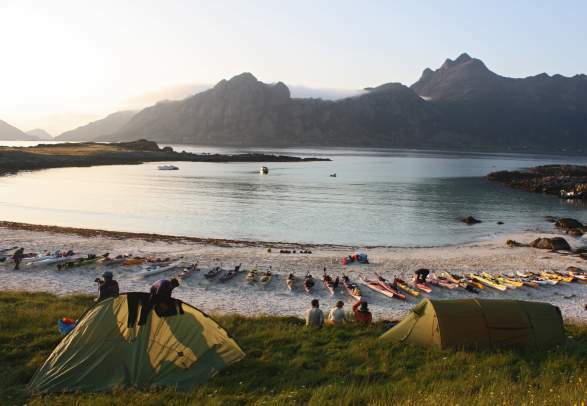 The southbound sailing through the Lofoten Islands is a highlight for many Hurtigruten guests. This area is known for its diverse, natural beauty with steep mountains towering over sandy beaches, rorbu (fishermen’s huts) and small, picturesque villages made up of yellow, white and red painted houses. 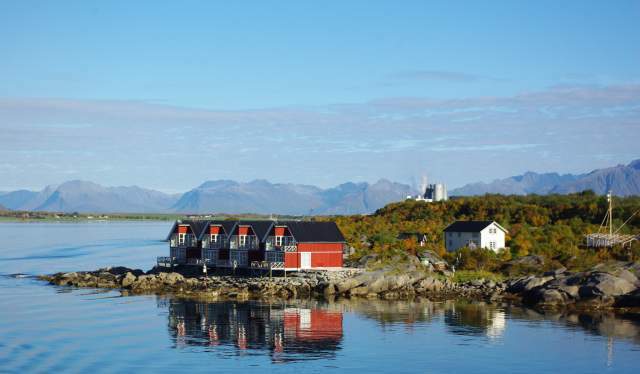 During the sailing you will go through Risøyrenna, an inland canal through the Vesterålen area, which was made at the request of Hurtigruten’s founder Richard With in the 1920’s to enhance the Hurtigruten journey. It is just seven metres deep so is inaccessible by bigger ships, and the sandbanks are visible through the crystal clear water. If the weather and time permits, the ship’s Captain will also divert into another narrow channel – the spectacular Trollfjord, where steep cliffs are so close it feels like you could reach out and touch them, as the skillful crew manoeuvre the ship through the narrowest of spaces. Bookings can be made by phone on tel 0203 411 8114. Intrepid explorers, incredible landscapes, great restaurants and a whole host of activities and sights – the lively city of Tromsø has it all. Known as the capital of the Arctic, the city has been the starting point for many epic Arctic expeditions and during a stay here, you will hear all about the rich history of explorers and hunters who used this northern city as a base before heading off into the unknown. 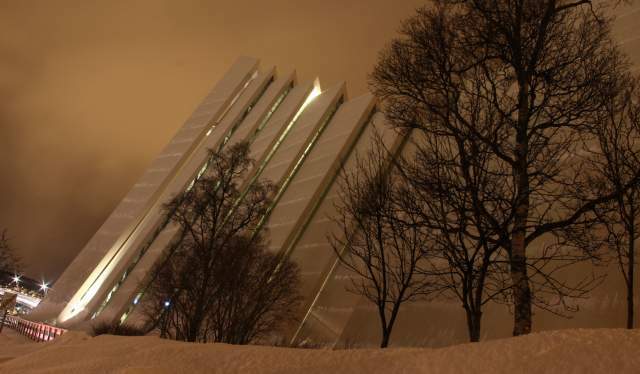 As you approach the city by ship, it is hard to miss the modern Arctic cathedral - a very imposing piece of architecture, which dominates the skyline. If you are taking the Hurtigruten voyage south, or are embarking or disembarking in Tromsø, then listening a midnight concert in the cathedral is not to be missed. From autumn until the spring, you may even be lucky enough to be sitting in its majestic surroundings, listening to local folk music, while watching the northern lights put on a show through the large glass windows. The city is directly under the aurora oval, the epicentre of the action, so if you are searching for the infamous light show, Tromsø is a good place to start. Bookings can be made by phone on tel 0203 411 8114. The North Cape (or Nordkapp as it is known locally) is located on an island, but at 71°10&apos;21&apos;&apos;, it has become known as the northernmost point of mainland Europe. When you stand on the cliff top, just 2,000 km from the geographical north pole, it feels like the edge of the world. The first explorers reached the North Cape in 1553 while searching for the North-eastern passage. Two of the three British ships never returned home. While the early explorers climbed the 307 metres cliff face, today you can see the views without quite so much effort – on a coach from the port of Honningsvag. 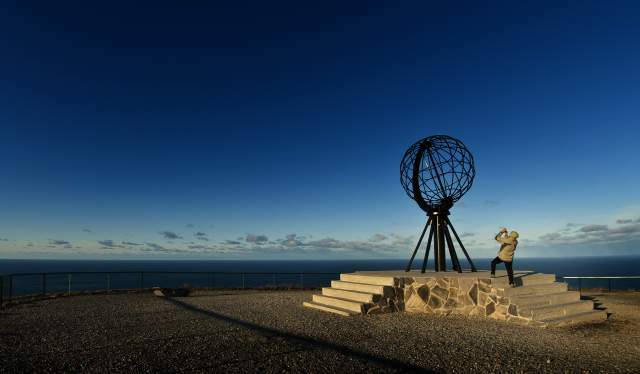 On arrival at the North cape, you can explore the visitor centre, wander around a museum where you will learn all about the early expeditions to the North Cape and watch a 180 degree panoramic film about the area, buy souvenirs or simply grab a bite to eat as you ponder the history of the place. All of course before you take photos by the symbolic Globe monument, which stands at the cliff edge and marks the end of Europe. Bookings can be made by phone on tel 0203 411 8114. 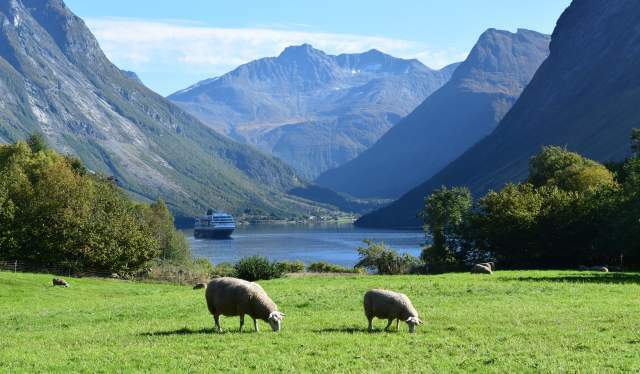 Hurtigruten’s cruise along the Norwegian coast not only offers a whole host of incredible experiences and wondrous scenery, but is also a culinary journey. 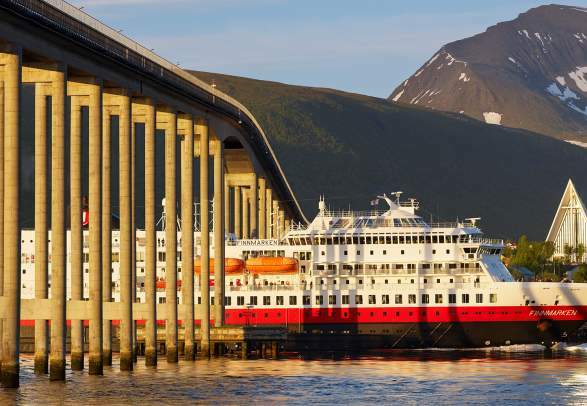 Find out what to expect on a Hurtigruten trip, including cultural highlights this spring and what you may see on the menu to news about the refurbishment and the brand new ship MS Spitsbergen. Turn your Hurtigruten cruise into an adventure. Read about the new expedition style concept, find out how to make sure you see the best natural attractions on your trip and decide which Hurtigruten activities and excursions that suit you. Experience the northern coastline in the footsteps of the early arctic explorers. They come in busses, they come in cars, and they come in campers, on bicycles and on foot. 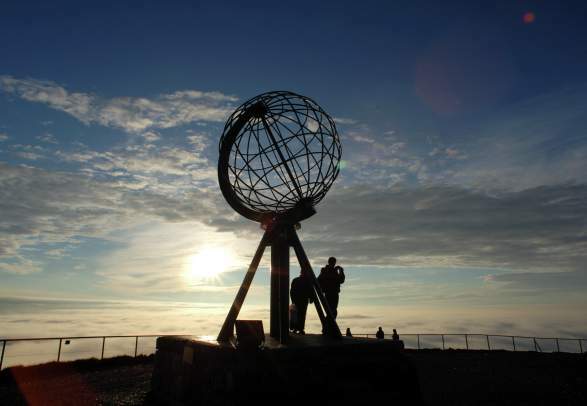 Thousands of people want to experience the North Cape. The Ultimate Hurtigruten Cruise is a 12 day journey, but there are also shorter options available. 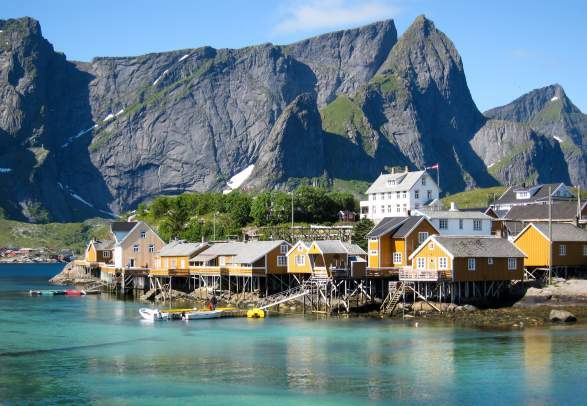 Sailing the Norwegian coast is like navigating in a big box of chocolates. There are tasty bites everywhere. For many, the Geirangerfjord is the best of the lot. Discover your inner explorer on an active journey along the Norwegian coastline, guided by Hurtigruten’s true adventure experts.